Join the Off Lease Only Team at Cars & Coffee Palm Beach This Sunday! 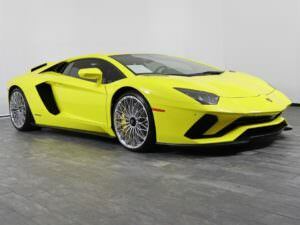 Off Lease Only to Display Lamborghini, McLarens, BMW i8 and more at Cars and Coffee Palm Beach this Sunday Morning. The car show is an event not to be missed and draws more than 3,000 vehicles and an estimated 35,000 visitors. Check out this beautiful 2018 Lamborghini at Cars & Coffee Palm Beach! So make sure to come out and join our team at one of the biggest – and best – car shows in South Florida this Sunday morning. 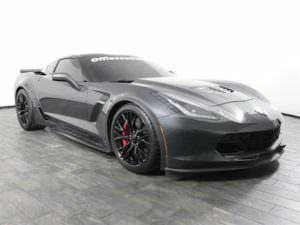 Off Lease Only, the nation’s largest independent used car dealer by volume, will display some of the hottest cars in its close to 6,000 used car, truck, suv and van inventory this Sunday, Feb. 10, during Cars and Coffee Palm Beach. Make sure to come say hi to our Off Lease Only team this Sunday at Cars & Coffee Palm Beach! Off Lease Only, which is also a sponsor of this show – which runs from 8 a.m. to noon – will have as many as six tents at the show and will be displaying two McLaren vehicles, a Lamborghini Aventador and a 2018 Corvette z06 with under 25,000 miles. The company will also be bringing an Audi TTS coupe to the show. The cars from Off Lease Only will be spread out throughout the show, which includes between 2500 and 3500 vehicles of all vintages and styles. At Cars and Coffee Palm Beach, you’ll find antiques and classics, as well as muscle cars and supercars. Join the Off Lease Only Team for Cars & Coffee Palm Beach this Sunday! 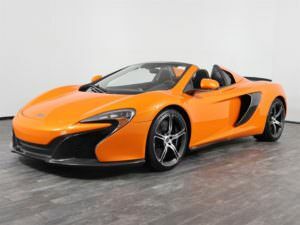 In addition to the 2018 Aventador, a 2018 McLaren 570S Spider and a 2015S Spider, Cook will also be bringing a BMW i8 and a BMW M5 to Cars and Coffee. Visitors who stop by the main Off Lease Only tent will have a chance to spin the Off Lease Only prize wheel and perhaps take home a small gift. To find out more about Cars and Coffee Palm Beach, visit www.carsandcoffeepb.com. 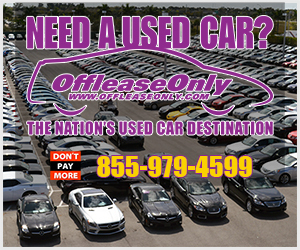 Off Lease Only, the “Nation’s Used Car Destination,” is based in Florida with locations in the West Palm Beach area, Fort Lauderdale area, Orlando and Miami. 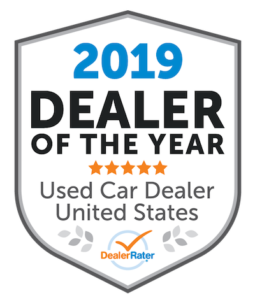 With a focus on customer satisfaction, Off Lease Only is proud to be DealerRater’s Used Car Dealer of the Year for the entire United States! 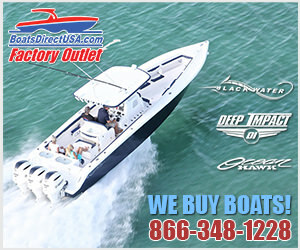 Off Lease Only also has an A+ rating from the Better Business Bureau and is an Edmunds Five Star Premier Dealer. The company prides itself on transparency, offering a free five-day or 500-mile exchange policy for added peace of mind and no hidden fees. Want to stop by an OffLeaseOnly Location near you to see the incredible selection in person? Simply click below for easy driving directions! Next Story → Off Lease Only Named Best Used Car Dealer in Palm Beach County!